CBS News White House correspondent Bill Plante is traveling with the president today in Ukraine and Romania. But before he met up with the White House press corps, Bill and his crew visited the Chernobyl nuclear power plant for a report on a new plan to contain radioactive material at the site with a massive steel arch. More web-exclusive video from that excursion is available here. 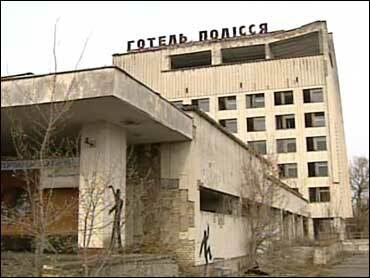 Bill also visited Pripyat, the abandoned city just about a mile away from the nuclear plant, where the plant's workers lived. When disaster struck in 1986, the town's residents were given 36 hours to evacuate. They never came back, leaving behind an eerie, overgrown landscape of deserted buildings.